I’ve been out of traditional schools for more than 10 years, but talking about academic integrity is something I do all the time. I can talk to administrators about policy and teacher support. I can talk to teachers about best practices for working with students. I can talk about consequences, resubmissions, second chances, and I can make it sound easy. But then I started co-facilitating an online course for teachers. Someone cheated. Yes, really. Talking about academic integrity is often about teaching people to communicate often and clearly about their expectations. If an assignment is collaborative in nature, it’s important to be clear about where the line falls between working together or doing work for someone. When someone crosses the line, the conversation is about asking questions to understand where the learner made a wrong judgment call. Was the decision intentional, or did they grab the wrong file off a server? Do I need to review citation protocols? The truth is that another conversation needs to take place when an instance of academic dishonesty arises. It’s a conversation with yourself. Figure out if the assessment had meaning for the student. What about this assignment made it not worth the time and effort? Did I miss a step in communicating expectations? The mistake most teachers make, and I’ve done it myself, is asking, “Why did the kid do this to me?” It’s unlikely that cheating occurs for vindictive reasons. While it may be about something you did or didn’t do, it’s not usually about YOU. Let that go. As my colleagues and I processed, we discovered several teachable moments for ourselves as well as for the folks involved. Prepare for difficult conversations by making a list of questions to ask so that your emotions don’t get in the way of your listening and understanding. And while you’re at it, take a deep breath before you call. Reach out for a pep talk from leaders who understand the importance of clear communication and everyone being on the same page. It never hurts to have a quick refresher from someone who believes as you do about academic integrity and the reasons we set parameters and follow best practices. Test the mute button on your phone in case you blurt, “You’ve got to be kidding me,” aloud. Our team learned a lot from this experience. We discovered that teacher buy-in and change management practices are not implemented the same way in other schools as they are at Florida Virtual School. This step is crucial for brick-and-mortar schools which may be moving quickly into the digital arena. 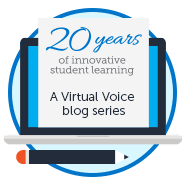 Leadership before and during implementations to blended or fully virtual programs is a key to ensure teacher comfort and success and, therefore, student success. When that piece is missing, people’s hearts aren’t in their work. What we think is engaging and important work to help teachers work with kids online is just something they are required to do when they don’t want to do it. While it’s unlikely that all teachers will read Who Moved My Cheese or Disrupting Class as an in-service activity, that doesn’t mean we can’t recommend them to our friends. Well, one of my teammates called the traditional school teachers involved. I called the principal. We had some difficult conversations. We discovered some folks with real technology challenges and issues with Internet access. We found someone who helped just a bit more than we’d like. We reset expectations and marked assessments to be resubmitted. We hope that when these teachers have an instance of academic dishonesty in their classrooms that they’ll take a deep breath, realize, prepare, reach out, and share. This entry was posted in Educator Edition and tagged Academic Integrity, Cheating, Collaboration on January 31, 2013 by Guest Blogger. Lori – you are a gifted and natural writer – love your style! And the points you make are so important, at all levels up through graduate school. One of my best friends was doing his MBA and 34 international classmates were expelled for cheating – part of the issue is that different cultures have different conceptions of the line between collaboration and cheating. I always struggled with making assignments both relevant and cheating proof when writing for FLVS courses back “in the day.” It is a little coincidental that you talked about the Schlechty center. I just submitted a blog article where I also talked about the value of “working on the work” that students are asked to do. FLVS learned a lot from Phil Schlechty about creating student work that produce unique results. Without unique results from meaningful work, it is almost impossible to stop academic integrity issues. If the site is bulky, non-intuitive, full of disincentives to explore because you have to click three or four times when one would have done, the student will find it easier to plug the question into google. FLVS students seem more than happy to provide the answers. 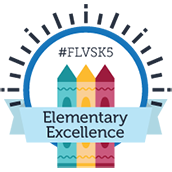 Google “future flvs student” or any quiz or exam question. See heres the thing that FLVS fails to understand. You are alone unless you work together with classmates. Even in my public school they teach you to work together on flvs and ask your classmates and teachers for help. which is what i did. So when you are in a traditional classroom and you all work together on a worksheet, your teacher knows, and if you have the same answer on those types of work, there is no penalty because its a worksheet that your expected to work together and get the same answer. THATS THE POINT! if there is a math worksheet and it asks how many sides does a triangle have and 2 students put 3 its cheating to the flvs standard. doing the same lab during what flvs students at my school call Lab days(where chem teachers will tell you to do the lab as a class together)results in cheating! thats ridiculous. especially because you wants us to collaborate when flvs chooses, but in a real life classroom that doesnt happen. Flvs has been more of a pain to my parents, my friends, and me than college and highschool combined. Hey Blair. We can definitely see how that would be frustrating. If you’re collaborating with students in the classroom setting, we encourage you to talk through the assignments with your teacher to confirm that they understand when you’re doing group work vs. independent work. Then they can make sure you understand their expectations too.